Nonny de la Peña on the state of virtual reality. This story first aired in March, 2016. 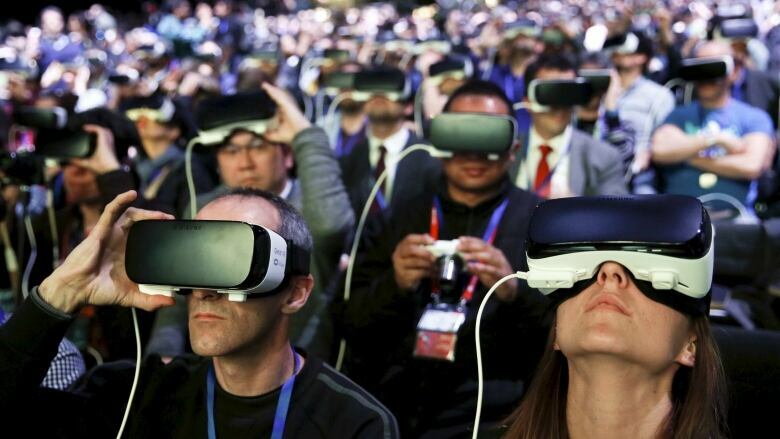 Perhaps the strongest appeal of virtual reality is its promise of delivering brand new experiences. Virtual reality journalist and entrepreneur Nonny de la Peña saw this as an opportunity to create a more immersive, personal approach to news stories with VR technology. That's why Nonny founded the Emblematic Group, a virtual reality media company that creates immersive journalism projects. These projects place the viewer in the middle of the action, so they can experience the story firsthand instead of just reading it or watching someone else talk about it. For example, one such project, called Hunger in LA, places the viewer in a long line at the food bank. "Virtual reality offers a whole different medium to tell stories that really connect people and create an empathic connection," Nonny explains. "Virtual reality kind of lets you get a lot closer to that feeling of being there, and I think that's what makes it so powerful." Can virtual reality help us appreciate literature?